Fabric can be such a mess! 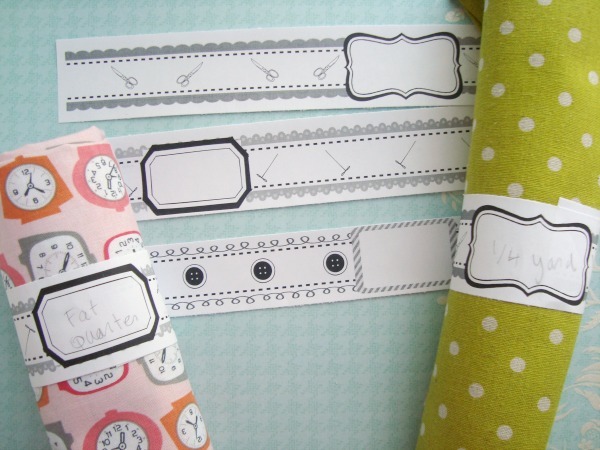 You cut off your selvages…..now you have no idea what the fabric line is. You cut the larger piece into a smaller piece…now you have no idea what size you really have now. There is a monster pile of pieces of fabric….who knows what you really have?! 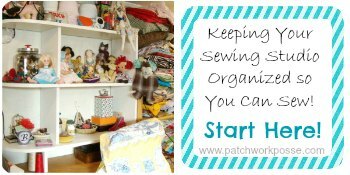 Today, we are going to learn together a new sewing room idea and how to conquer the problem of fabric. I started to think about quilt stores and how when I buy a fat quarter at the store, it’s usually folded nicely in a roll or a square and then had a lablel wrap. It keeps the folded fabric together, and helps the store keep organized. So, putting together my own was the next best thing to help out my piles. 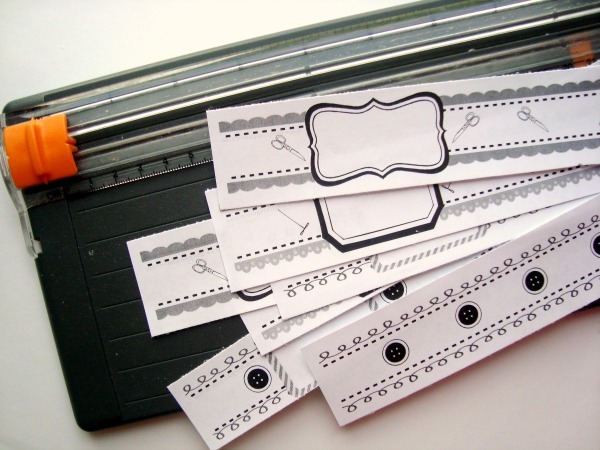 The large frame should have enough space for whatever notes you want to keep for that fabric piece. The wrap is adjustable…..just tape it to secure after you wrap the fabric. No matter how you store your fabric bundle— in a roll or a flat fold, the wrap will keep it all together and allow you to keep organized within your sewing area too. 3) Fold fabric. 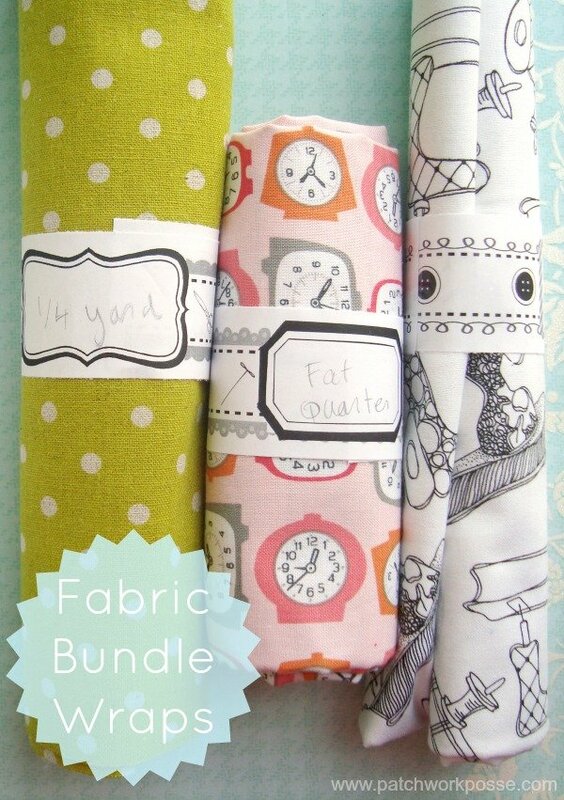 Just in case you need it, here’s a quick how to well…..two how to’s on folding your fat quarter fabric. This is such a fun idea! And just to let you know Becky the Andover package arrived at my friends house from my win with the Around The Block, she will ship it out to me later next month. Love,Love,LOVE these Becky! Pinned and sharing. this is a great tip. My fabric is out of control!! I need to do something!! thanks anne! this is perfect for those slinky slippery fabrics for sure! You have just given me one of those ‘why didn’t I think of that’ moments!! So simple when you think about it, and just the spur I need to get my massive collection of fabric measured up and organised. Thanks SO much! This is a great idea. I tried using rubber bands around my fabric I have wrapped on cardboard but I like this better. 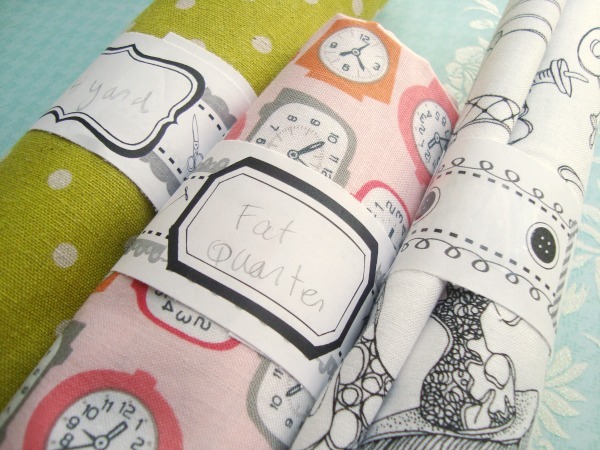 Plus I love the idea of writing down the size of the fabric piece as it isn’t always easy to tell if it’s a fat quarter, half yard, yard or whatever. Thanks. I really love these, but can’t seem to find the .pdf file in the library. Is it still available?